PRWeek and Women in PR (WIPR) have again teamed up to launch the Mentoring Scheme. We talk to some of last year's mentees to find out how it has benefited them and their careers. The Mentoring Scheme – the initiative designed to inspire the next generation of female PR leaders – is back. 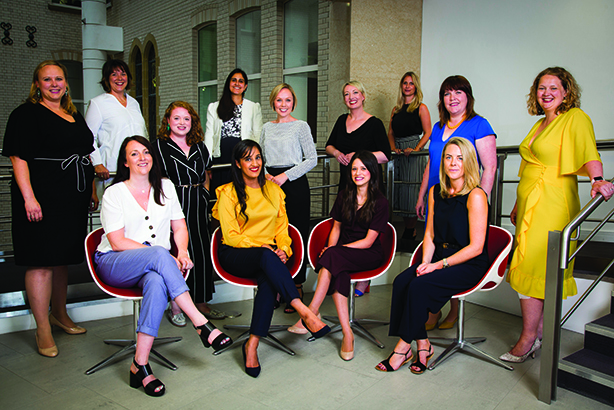 Following an application process, 15 mentees – women with some leadership background who work in PR – have each been paired with an experienced female comms figure. They will offer advice and guidance on their mentee’s career over the next 12 months via face-to-face and other meetings. See below for the list of pairings. Nicky Imrie, co-founder of The PR Network and mentoring programme lead at WIPR, alongside fellow co-founder George Blizzard, says: "The WIPR mission is to create more female leaders in the UK PR industry, by empowering mid-level and senior women with the tools, insights and contacts they need to get to the top – and stay there. The 2018 mentee cohort is a great mix of in-house, agency and freelance professionals, representing the breadth of our industry, and from diverse backgrounds." Before the project – now in its fourth year – got under way, PRWeek caught up with mentees from last year’s intake to discuss the benefits of the scheme and how it helped them. Lesley Singleton, managing director of toys and games-focused agency Playtime PR, describes her mentor, The Academy chairman Rachel Bell, as "a no-nonsense guide – someone I can discuss the practical and financial side of the business with, in order to help whip it into shape". Bell’s advice led the agency to revamp its financial management system and formalise the company structure with a "clearly identified senior management team". Singleton adds: "She’s made me pull my socks up, while also being a supporter of our non-traditional business model. She’s been a fantastic sounding board on projects such as our global alliance partnership scheme." Weber Shandwick UK chief executive Rachel Friend mentored Grace Garland, head of PR and comms at MVF. Garland says Friend made her "realise that a lot of hang-ups are not unique to me, but are things that she has or still does experience – and many of them seem common to many women". Garland adds: "I had a sounding board external to my business who was able to guide me through a pivotal point in my career, as I progressed to director. The process has made me think that mentoring, for women in particular, is important and should be taken up by as many people as possible. I certainly will look for ways to 'pay it forward'." Addy Frederick, senior corporate comms manager, corporate affairs, at Bupa UK, benefited from the advice of Clydesdale Bank’s Christina Kelly. "Having Christina as a mentor has helped me to achieve a better work-life balance by making me more focused," says Frederick. "I have a clearer sense of what my long-term goals are, which informs the development opportunities that I pursue both inside and outside work. Working with Christina has made me feel more confident as I move into the next stage of my career." Meanwhile, Ready 10 head of client services Aimée Jacobs, who was mentored by The Romans chief executive Misha Dhanak, says the scheme was "invaluable for my professional development". She comments: "Just having the space outside of my daily environment to talk through challenges has really helped, but doing so with someone who has achieved so much in our industry has been an experience that has helped me enormously. I am truly grateful to PRWeek and WIPR for giving me the opportunity, and would encourage those who have the opportunity to apply to do so." PRWeek UK editor-in-chief Danny Rogers concludes: "PRWeek started the Mentoring Scheme four years ago to address the lack of women in the highest positions in the industry. The project has gone from strength to strength since it became a joint initiative with WIPR, and I’m sure the latest group of mentees will see the significant benefits of having an expert mentor."